Bobbi Buller: Our second egg! Yes two days later we got our second egg! This one was in the nest box. I'm very happy that they figured it out. 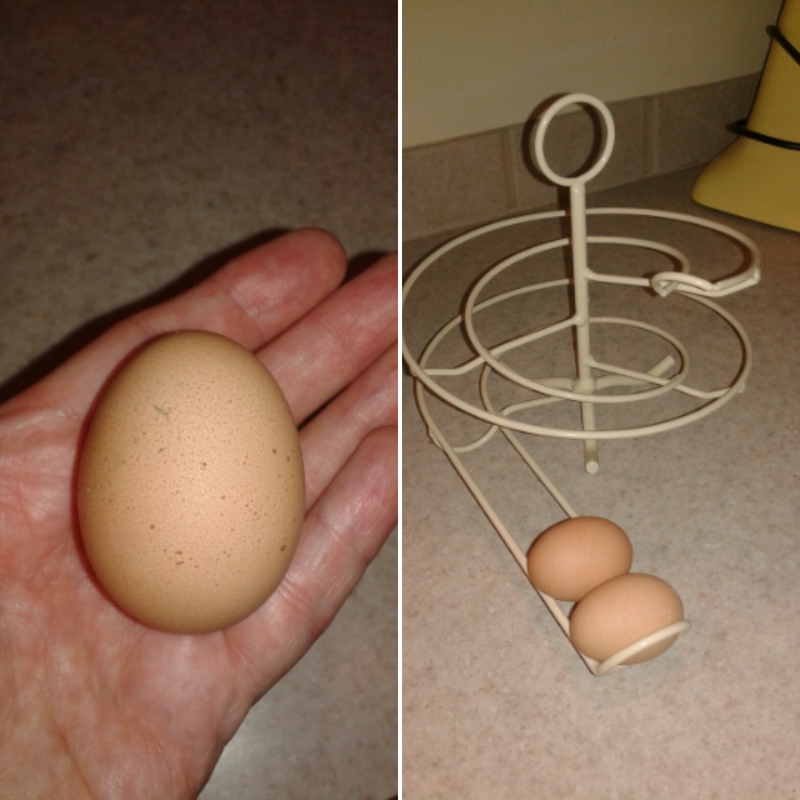 I was worried they would lay one again in the coop, which would increase the chances of it breaking and then someone would discover how delicious they are! Once you get a chicken that is an egg eater its very hard to break them of the habit. The egg skelter is filling up! Don't worry, I'll probably only post the first 20 eggs, I'm sure the excitement will wear off by then!